With his rich, robust baritone voice and compelling acting Massimo Cavalletti has quickly established himself on the stages of the most prestigious opera houses and festivals worldwide, including the Metropolitan Opera New York, the Teatro alla Scala, the Royal Opera House Covent Garden, the Vienna State Opera, the Berlin State Opera, the Zurich Opera House, and the Salzburg Festival. 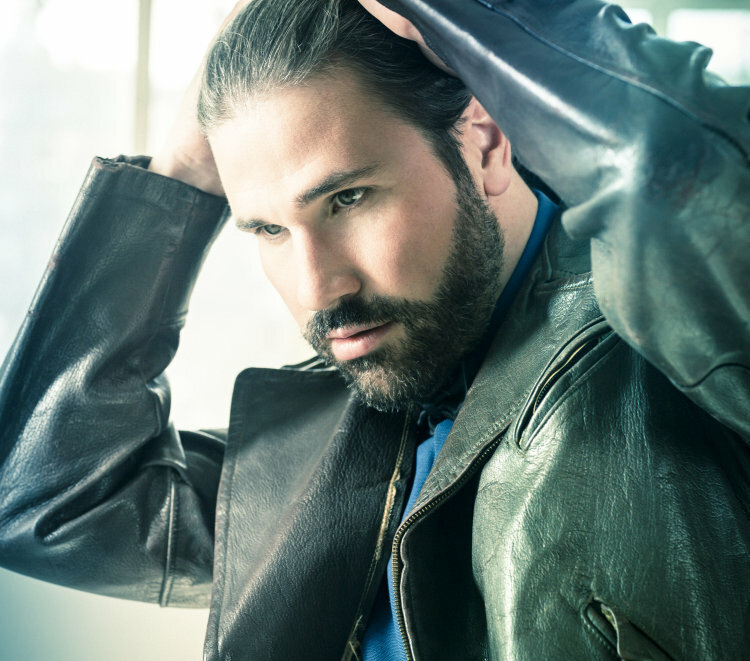 Engagements of the 2018/2019 season include his role debuts as Conte di Luna in Il trovatore at the Florence Opera House and at the Teatro Regio of Turin, as Giorgio Germont in La traviata at the Palm Beach Opera in Florida and as Francesco in I Masnadieri in a new production at the Teatro alla Scala, where Massimo Cavalletti will also sing Lescaut in a new staging of Manon Lescaut and Belcore in L'elisir d'amore and Figaro in Il barbiere di Siviglia at the Teatro Verdi of Salerno. Among his performances of the 2017/2018 season were his house debut at the Opéra national de Paris in the title role of Il barbiere di Siviglia, his festival debut at the Arena di Verona as Escamillo in Carmen, his debut in the title role of Gianni Schicchi in a new production at the Dutch National Opera of Amsterdam, performances as Enrico in Lucia di Lammermoor at the Metropolitan Opera New York, Ford in Falstaff at the Astana Opera (guest performances of the Teatro alla Scala), Figaro in Il barbiere di Siviglia for his debut at the Las Palmas Opera, Marcello in La bohème for his debut at the Rome Opera House and a New Year's Eve Gala Concert at the Roy Thompson Hall in Toronto. In the 2016/2017 season Massimo Cavalletti appeared as Marcello in La bohème at the Metropolitan Opera New York and at the Teatro Regio of Turin; Ford in Falstaff at the Teatro alla Scala, Figaro in Il barbiere di Siviglia for the inauguration of the new Opera House of Dubai, Rodrigo in Don Carlo at the Maggio Musicale Fiorentino Festival and at the Berlin State Opera and as Riccardo in I puritani at the Savonlinna Festival. Other career highlights include Escamillo (Carmen) at the Metropolitan Opera, the Gran Teatre del Liceu of Barcelona and the Vienna State Opera; Figaro (Il barbiere di Siviglia), Enrico (Lucia di Lammermoor), Paolo (Simon Boccanegra), Marcello (La bohème) and Rodrigo (Don Carlo) at La Scala; Marcello in La bohème at the Royal Opera House Covent Garden, the Salzburg Festival the Bavarian State Opera and the Dutch National Opera Amsterdam; Ford in Falstaff at the Salzburg Festival and the New National Theatre of Tokyo; Renato in Un ballo in maschera with the Israel Philharmonic Orchestra, Lescaut in Manon Lescaut in a new production at the MET which was broadcast in cinemas worldwide and at the Deutsche Oper Berlin; Paolo Albiani at the Berlin State Opera; Enrico at the Hamburg State Opera, the Semperoper Dresden, and in Tokyo; Belcore in L'elisir d'amore at the Teatro de la Maestranza Sevilla, the Glyndebourne Festival and in Beijing; as well as numerous leading baritone roles at the Zurich Opera House, where he was a member of the ensemble from 2007 to 2012. Massimo Cavalletti was born in Lucca, where he began his vocal studies with Graziano Polidori before attending the Academy of La Scala in Milan, where he refined his vocal technique with Luciana Serra. In October 2004 he made his operatic debut at the Teatro Donizetti of Bergamo in Parisina in a production of the Academy of the Teatro alla Scala. In 2005, still a student of the Academy, he made his debut at La Scala, where since then he has starred in over 100 performances and over 10 different roles. Massimo Cavalletti has worked with such conductors as Daniel Barenboim, Zubin Mehta, Riccardo Chailly, Nello Santi, Fabio Luisi, Daniele Gatti, and Daniel Harding. His DVD/Blu-Ray recordings include La bohème from Salzburg, Turin and Valencia, Falstaff from Zurich and the Salzburg Festival, and Simon Boccanegra from La Scala.